Limestone is natural sedimentary rock deposits composed of calcium carbonate. All limestone quarried or mined by US Lime falls under the classification of high calcium limestone. 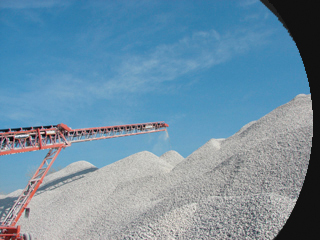 High calcium limestone is utilized in the production of construction materials such as roofing shingles and asphalt paving. It is also used as an additive to animal feeds, in the production of glass and soil enhancement; in the wet scrubbing process for flue gas desulfurization for utilities and other industries and for mine safety in coal mining operations.